You have probably seen a lot of family photo recreations. 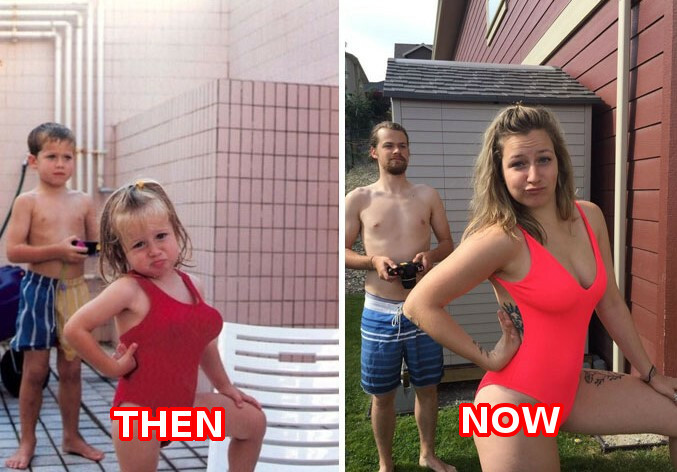 There was a trend some years ago and people began posting their attempts to recreate old photos. Sometimes these attempts were not worth sharing but in other cases they were a lot of fun to look at! The list you are about to see consists of absolutely perfect recreations that will make you laugh for sure! As you can probably imagine, the people who do this are not willing to participate in a contest or something. They just try to have fun and we appreciate that because we also have fun when we see the end result of their effort. 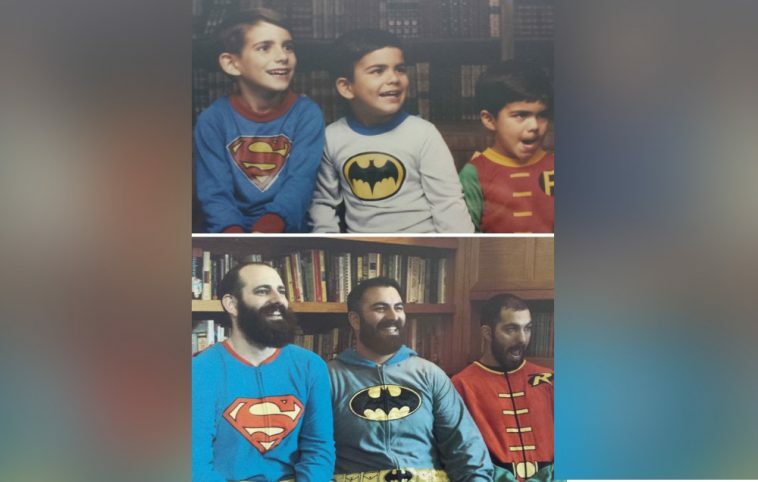 Most people recreate an old photo only once, but this family took things to a whole new level. 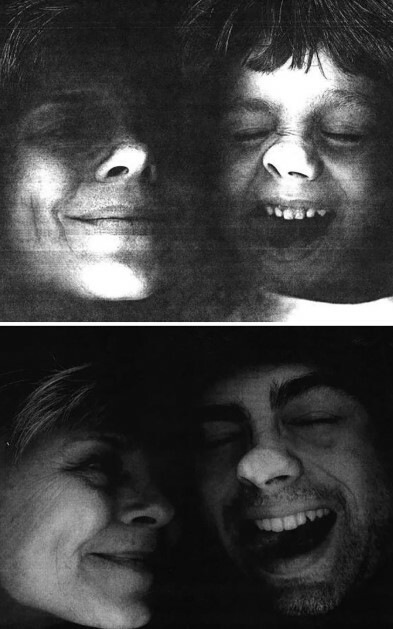 They chose a photo and recreated it several times, making a really nice project out of it. It shows how they aged but it also demonstrated that their close bond remained the same. The pets also seem to prefer only one way of doing things and they are the perfect addition to the photo. We all know that one of the closest possible bonds is between a father and his daughter. The love they share is often indescribable and we cannot do anything else but post a photo to prove it! As you can see, time can change a lot of things but it cannot change the bond between this man and his little girl. 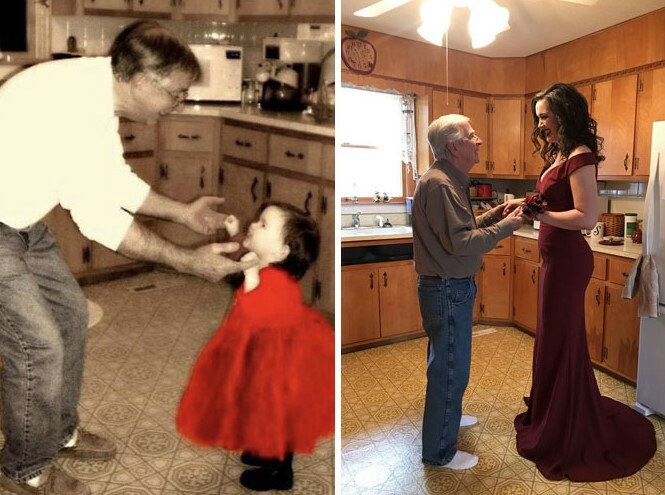 She is not so little anymore, but her dad will always look at her the same way. To him she is still the toddler who used to run around the house. These two photos are simply adorable! We love photos with a lot of history behind them, and the photo on the left definitely has a story to tell. It seems that the son dreamed of becoming a police officer just like his dad. The father probably thought that it was nothing but a childhood dream but dreams are sometimes meant to become a reality. Twenty years later he fulfilled his dream and the father could not be happier. This is a really sweet idea. 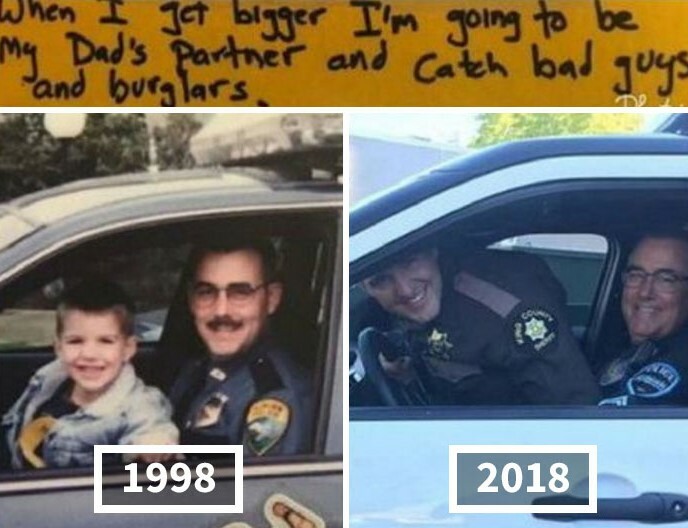 The two men in the photos are a father and his son. Sadly, after the first photo was taken, the man tragically died in a car accident. 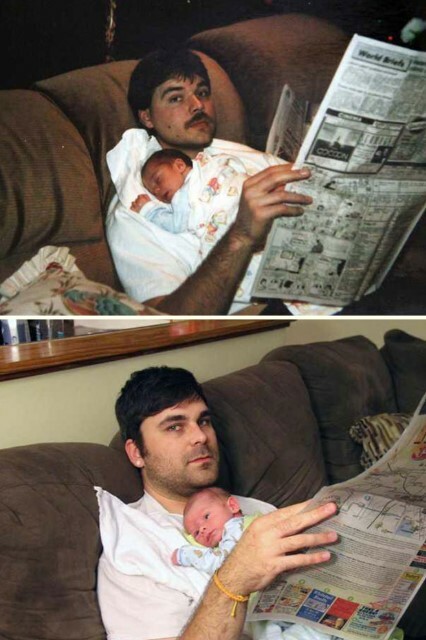 The years went by and the baby from the first photo is now the grown man in the second. 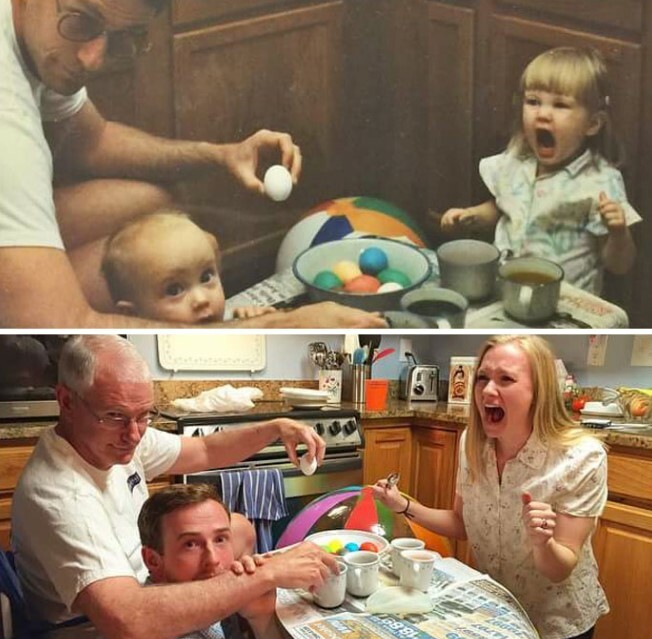 He wanted to create a surprise for his grandmother so he recreated the first image and used his son to replace him as a baby. The end result is amazing and the late father and his all grown-up son look incredibly alike. We are sure that his granny was moved to tears by the beautiful gift. We are certain that everyone who has a pet would give everything for it to live forever. Unfortunately this is not possible, but pets continue to live in the hearts of their owners. 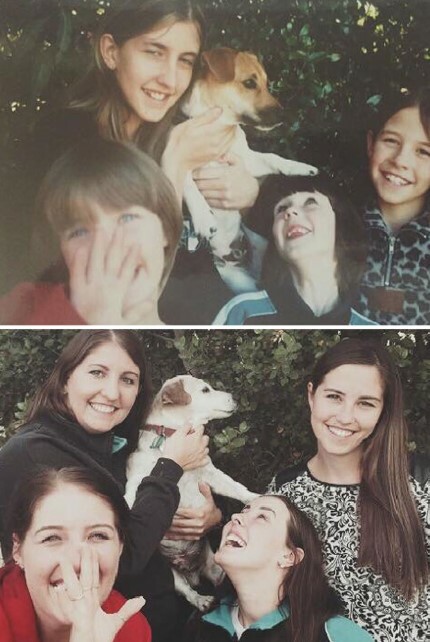 The cute doggo you see in both photos had to be put down after 16 years of love and joy with its family. 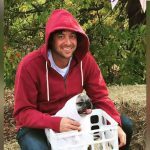 His owner decided to recreate a favorite photo before the procedure, and it is the sweetest thing ever. The unconditional love we receive from our dogs cannot be compared to anything else and we need to respect them even after they are no longer with us. Friendship sometimes lasts indefinitely but it seems that it has become a rare thing to see. Of course, we all have a friend we’ve known our entire life. These men have something more – their gang remained close for more than three decades! You can almost feel the strong energy coming from these photos! He joy they feel is basically the same as the time when they were kids! We like how they still have the same spirit and are as close as ever. We should respect the elders, especially if they are part of our family! This person sets an example of how to treat your loving grandmother! The first photo shows the young man as a kid before his first visit to the kindergarten. 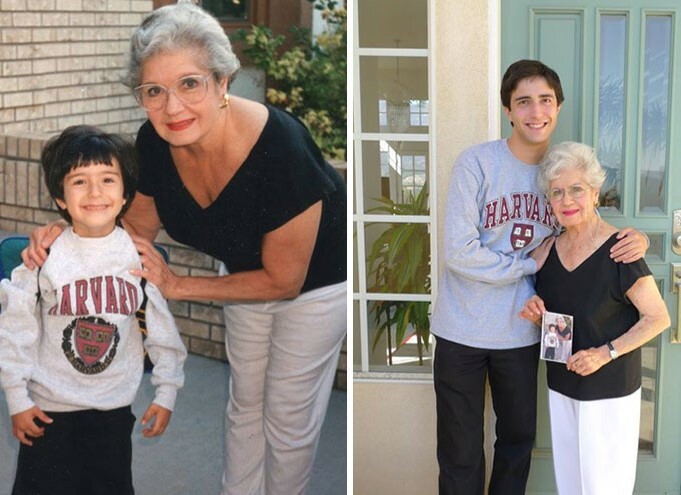 The second photo was taken almost two decades later and you can see that both the man and his grandma changed a lot over the years. One thing that remained the same is the love they have for each other! The granny is even holding the original photo in her hands! Only those who have siblings know what growing up together is like. The moments you share are priceless and the memories pile up like a stack of gold! However, sometimes the childhood of some people is marked by unexpected events. These two men used to live in Pripyat with their family when the Chernobyl nuclear plant malfunctioned. 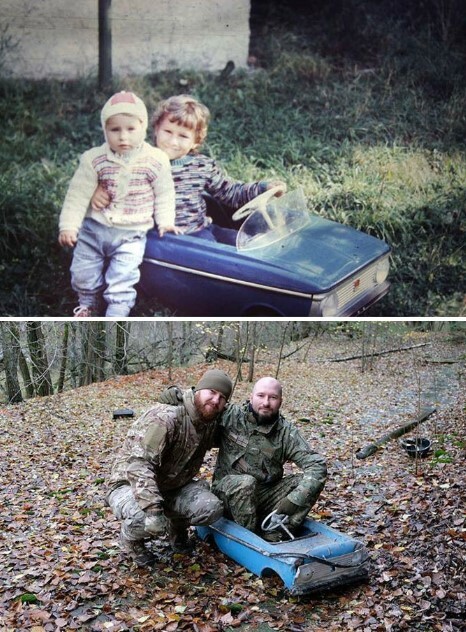 After many years the brothers returned to the city and found their old pedal car. The photos are amazing! They say that time is only a mind construct and it is not real. We guess that there is some truth to that but one thing is for sure – time always takes its tall. Since it is moving forwards, things fade and people age. There is no way to reverse those effects. However, some things never get old. The free spirit, the sense of humor and the love people have for one another can remain the same. As you can see, this mother and her son are still able to have fun the same way they did years ago! 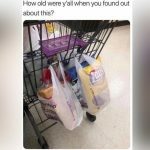 Here are two photos that definitely stand out from the rest on this list. They look like they were created as illustrations for a fairytale book, but they are photos of real people. 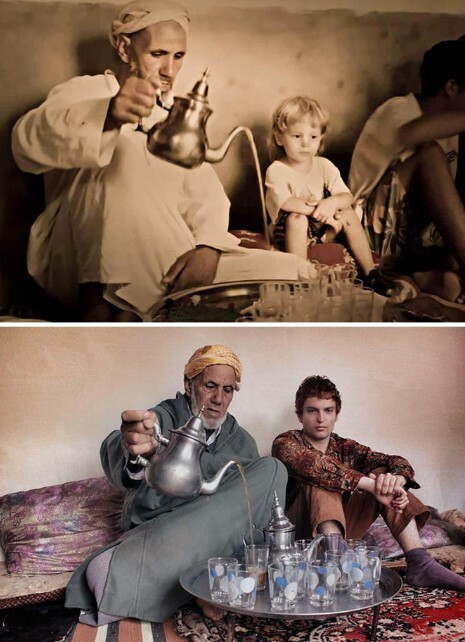 The boy and his great uncle recreated a photo that was taken 24 years ago and both images look stunning. The man on the left has some impressive skills! We wish we could handle a teapot like that! The boy grew up to be a handsome man and his appearance changed a lot after more than two decades. Some photo can instantly make you laugh the second you look at them. 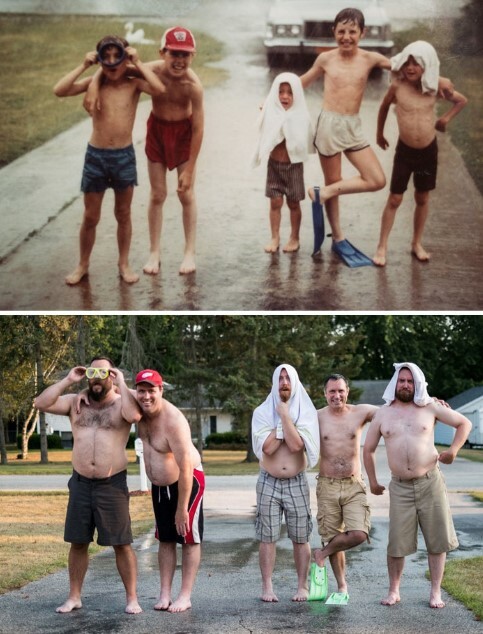 The way this family recreated an old family photo is more than funny! Just look at those faces! Our favorite reaction is the father’s facial expression! It looks like as if he did not get over the screaming toddlers his kids once were. We can imagine that painting those eggs for Easter was no easy task! 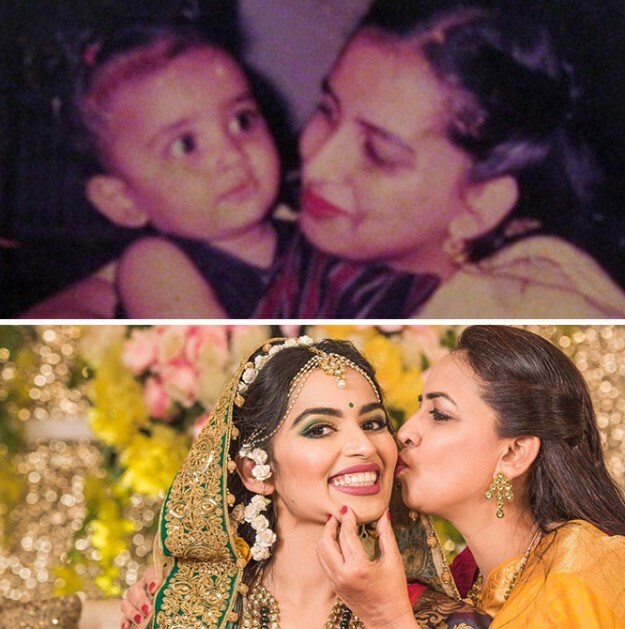 When families try to recreate their old photos, they strive to make them as similar as possible. This means they need to be in the same location and their clothes need to look the same. However, one thing that is hard to replicate is the emotion! This is especially true when some of the people featured in the photos were only children in the original one! As you can see, this girl was exactly thrilled by the attention her mother tried to give her in the original photo, but she obviously likes it in the second one! Both women look stunning! These two images are unbelievably good! The time between them is almost three decades but this is not the interesting part here. 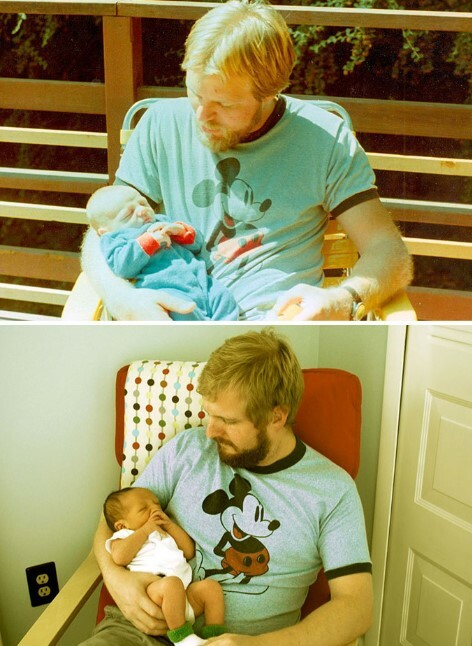 The first mind-blowing fact is the uncanny resemblance between the two men in the photos who are father and son. They were both 29 years old when the photos were taken. The most curious detail is that both babies are just two weeks old at the time! Even better, both babies were the first born sons! This is more than just a coincidence! It looks like faith and genetics joined forces and these photos were created to prove it! We wonder if the second baby will make a third photo at the same age. We already mentioned that living with your siblings is definitely a lot of fun despite the fact that they can be annoying in certain moments. Of course, the good times are what matters the most and all the moments captured on photos are precious. These two decided to recreate one of their funniest photos and the result is immaculate! They were able to show the same emotions and we love their attitude! We love seeing grown-ups who still have that inner child! We believe that life should not be taken so seriously.